Information on the spread of tuberculosis in Azerbaijan is unfounded, said the Health Ministry commenting on the rumors of this virus across the country. “Information on the spread in the Yasamal and Nasimi districts of Baku, as well as in the regions of the country of this disease, is unfounded. Every year, hundreds of thousands of children and adolescents in Yasamal and Nasimi districts, as well as in the regions, undergo preventive examination,” the Ministry reported. Permanent anti-tuberculosis measures are being held in the country and in Baku, according to the Ministry. The individual and mass diagnostics of tuberculin is carried out annually in kindergartens, schools and universities, located on the site of institutions for providing medical care, for the early detection of the disease. 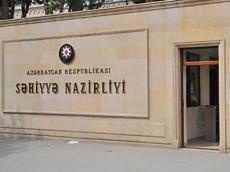 “There is no and cannot be tuberculosis epidemic in the country,” the Ministry reported, adding that corresponding departments of the Ministry and the Baku city Main Health Office keep under constant control the implementation of anti-tuberculosis activities. In 2017 the primary incidence rate of tuberculosis in Baku was 4-5 times lower than in other post-Soviet countries. The country started to combat tuberculosis in 1995, while implementing a strategy in the country’s prisons, supported by the International Committee of the Red Cross. The law “On Combating Tuberculosis” was adopted in Azerbaijan in 2000. The country has also approved a plan of action on anti-tuberculosis measures for 2016-2020, which aims to prevent the spread of the disease and to reduce the number of tuberculosis-related deaths, as well as to strengthen logistics of tuberculosis treatment centers, to improve the supply of patients with medications, and to raise public awareness of the disease. The treatment of tuberculosis patients is being carried out at the state’s expense, regardless of the stage of the disease.